With just a few weeks left before Avengers: Endgame releases in theatres, Marvel released a short but brand new teaser of the highly-anticipated follow up to Infinity War on 2 April. The video opens to Bruce Banner (played by Mark Ruffalo) remarking on their mission to undo the cataclysmic events of the previous film. "If we do this, we will be going in short-handed,." he admits. To this War Machine (Don Cheadle) replies, "Yeah, because he killed all our friends." Scarlett Johannson, who plays Black Widow, can be heard convincing the others that their decision to retaliate was something they owed to the ones Thanos (Josh Brolin) killed. The teaser includes some new montages, not included in the previous promotional videos and wraps it up by bringing the Avengers face-to-face with the Mad Titan. 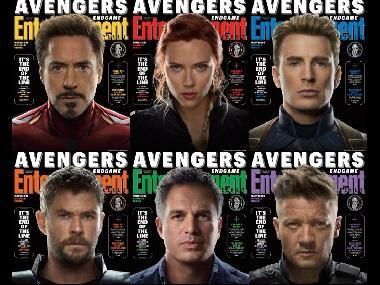 Directed by Anthony and Joe Russo, Marvel's Avengers: Endgame, also stars Tom Hiddleston, Jeremy Renner, Chris Pratt, Elizabeth Olsen, Sebastian Stan, Benedict Cumberbatch, Paul Bettany, Samuel L Jackson, Cobie Smulders, Benedict Wong, Zoe Saldana, Karen Gillan, Vin Diesel, Dave Bautista, Pom Klementieff, Tom Holland and Anthony Mackie. The film will release in cinemas on 26 April.